The much anticipated hearing into Marc Marquez and Dani Pedrosa’s Aragon crash took place this afternoon in Sepang with Marquez penalised for the accident and having one penalty point added to his licence. In addition to this penalty race direction also decided that his manufacturer points would also be removed. This means that Alvaro Bautista’s fourth place finish now stands as Honda’s score at Aragon with 13 points rather than Marquez’ 25. 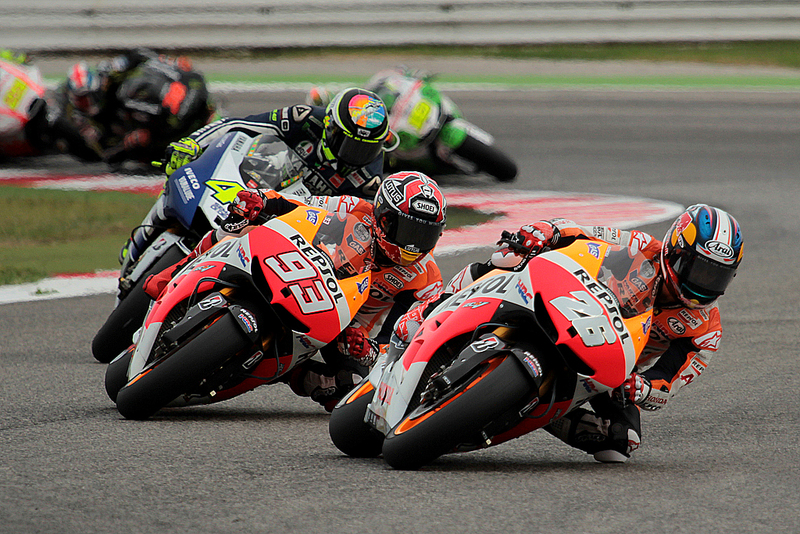 Race direction found that Marquez, who went on to win the race, was to blame for the contact that caused Dani Pedrosa’s rear wheel sensor to break and leave the Spaniard with no traction control causing a violent accident for the former 125cc and 250cc world champion. 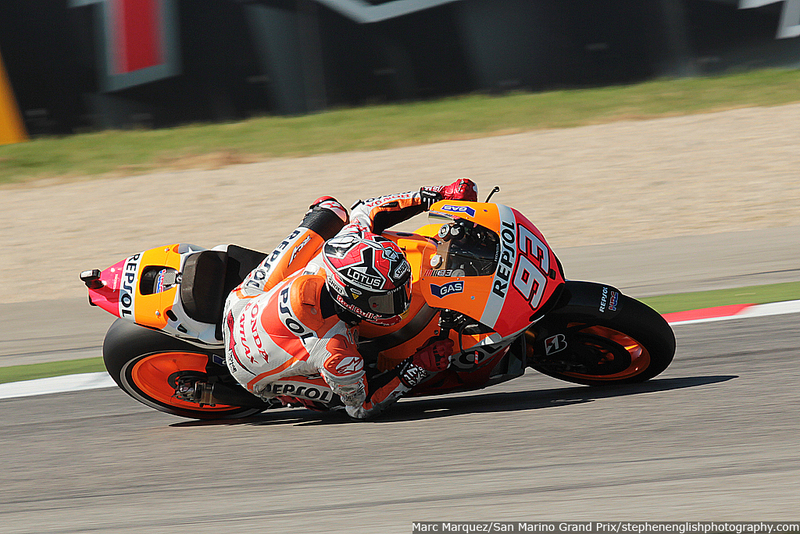 The incident, which occurred on lap six at Aragon, was largely seen by the paddock as another example of Marquez’ aggressive riding style but a borderline move that was not out of place in MotoGP. nalty pointThe Spaniard’s style of riding is clearly one where he takes no prisoners but since his promotion to the premier class he has walked a tightrope between pushing the boundaries of acceptable riding without crossing them, with the obvious exception of his Silverstone warmup crash. Marquez now has three penalty points on his licence, his Silverstone warmup crash under waved yellow flags netted a two point penalty, and one more infraction would see him forced to start a race from the back of the grid.